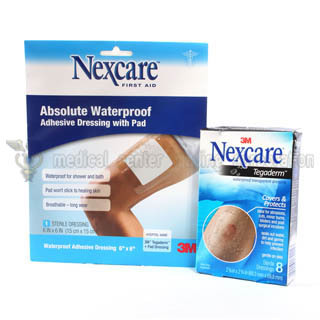 A thin, clear, sterile dressings that keeps out water, dirt and germs yet lets skin breathe. Convenient, all in one sterile application for cuts, burns, abrasions and post surgical incisions. 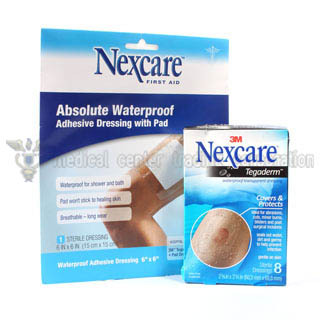 3404067- Tegaderm transparent Dressing 2 3/8" x 2 3/4"
3604051- Nexcare absolute waterproof Dressing 6 in. x 6 in. 3604050- Nexcare Absolute waterproof Dressing 3 1/2 in x 8 in.